There’s snow better time to experience the quiet of Winter in the Hood River Valley and surrounding forest. And at the Old Parkdale Inn Bed and Breakfast. Parkdale, Oregon, is the halfway spot along the Mt Hood Scenic Byway, and the Old Parkdale Inn B&B is in the heart of this quiet hamlet. Take 20% off your stay when booking our Cozy Winter Nights special (scroll down to see additional packages and specials) Stay Sundays through Thursday, January 2 through March 21, 2019 at the Old Parkdale Inn and start your day with a hearty breakfast and experience the serenity that comes with spending an evening at the Old Parkdale Inn. Deal ends the last day of Spring so visit Cozy Winter Nights and for a link to directly book online. Only minutes from the Mt Hood National Forest you can venture to ski Mount Hood Meadows or Timberline Ski Area, XC ski or snowshoe the many forest road and trails. For us there is nothing better than a hike in the Mt Hood National Forest, fresh snow, no wind, fresh tracks. If it’s snowing, it’s even better. Le Puy is an 8-room, 4-season, destination inn for the Yamhill Wine Valley. The inn strives to exemplify sustainability from the food offered, to the products used, to the care for the environment from the exterior to the interior. Re-balance, Rejuvenate and Refresh the tranquil setting, good food, spa amenities and fresh atmosphere. Nestled on a hill in the luscious Willamette Valley wine country, Le Puy exudes a peacefulness, a graceful feel and that gentleness you only get while visiting our Oregon wine country. Taste McMinnville in the heart of Oregon Wine Country. 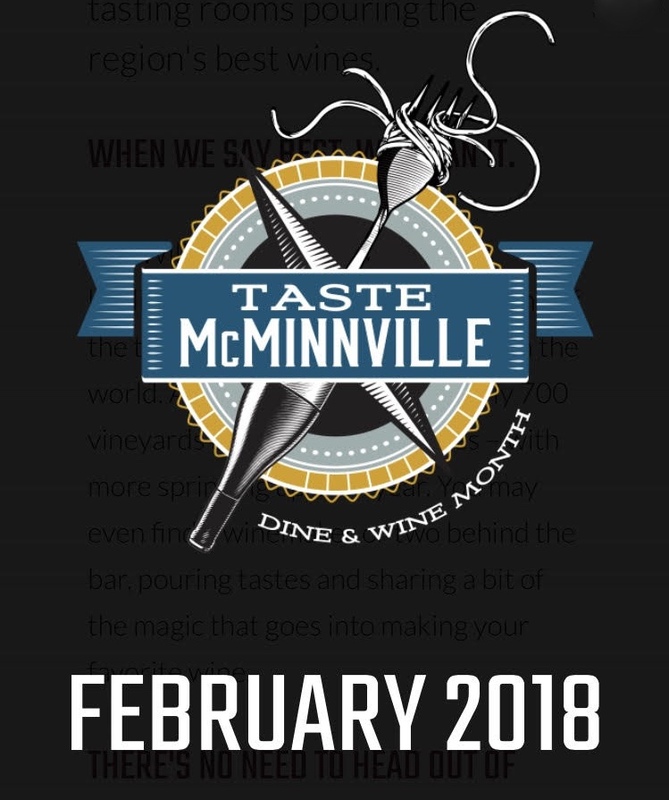 Throughout the month of February enjoy fine dining experiences, discover new tasting rooms, shop the historic downtown 3rd Street, and stay the night in charming McMinnville. Special $10 tasting fees, prix fixe menus, and other promotions. The Victorian on 10th is offering a Taste McMinnville $25 off room rate special for the month of February. 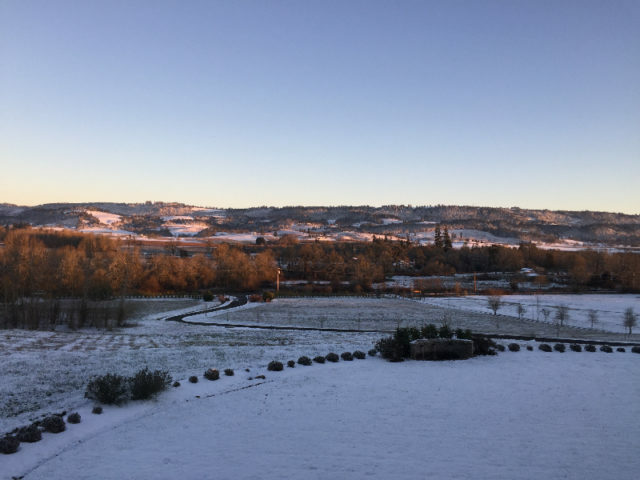 The inn can be the perfect retreat for food and wine enthusiasts, those visiting family and friends, and travelers looking for dog friendly options in the Willamette Valley, Oregon. The Victorian on 10th is a pet friendly McMinnville, Oregon, inn that has been lovingly restored to its original 1896 Queen Anne Victorian beauty and offers a “home away from home” quality. Located just a few blocks from McMinnville Oregon’s 3rd street, voted the “Best Main Street in America” by Parade Magazine in 2014, the historic building is a 2,600 square foot Victorian in the heart of the Willamette Valley Wine Country. Three Oregon Bed and Breakfast Guild Newberg B&Bs, Chehalem Ridge, The Willows and the DreamGivers Inn, are offering discounts to the winery club members for this Club Crawl of 10% off a 1 night stay and 20% off a 2 night stay. It is the first 3 weekends of January. Club members must book by phone and identify themselves as club members of a participating winery. This is a good time to become a winery club member. 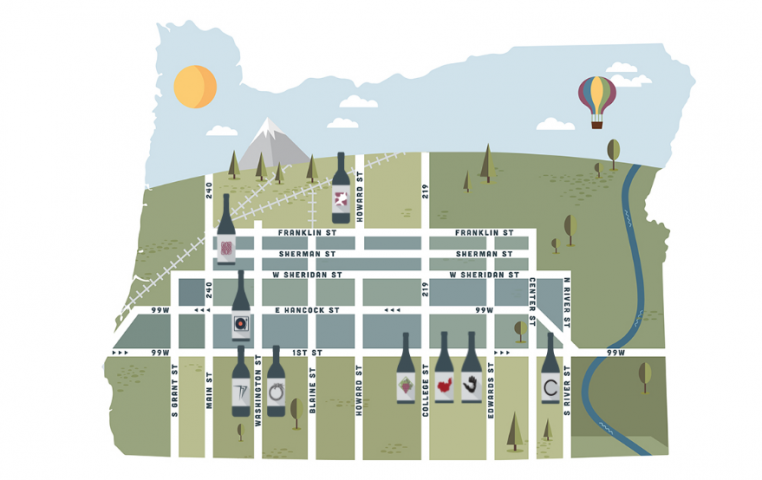 Join us for the Newberg Downtown Wineries Club Crawl! Tasting Rooms in the Downtown area are coming together to help our Wine Club Members start their year off right- with wine! Newberg Downtown Wineries participating in the Club Crawl extend their club perks to Wine Club Members from other Wineries. Enjoy complimentary tastings, discounts on wine, and taste all the wonderful wines that Downtown Newberg has to offer! This Club Crawl is open only to active wine club members. January 5-7, 12-14, 19-21 **Starts and ends during normal business hours** Hours will vary between Tasting Rooms, so refer to individual websites for hours of operation. Club Members will pick up a printed program card from the Winery you belong to and verify eligibility. You will also need to bring a friend because each Card holder gets to bring one guest! Upon arrival, present your program card to the Tasting Room staff and you will receive a stamp for each location. If you visit all locations and collect all 9 stamps, you will be entered into a raffle to win some awesome prizes! Only Club Members are eligible for Raffle. Brey House Oceanview B&B, in Lincoln City is running a November Special. It’s a BOGO: Reserve your first night at Brey House and the second night is free. This special is good for a November stay only, two consecutive nights. Brey House Oceanview B&B is right across the street from the Pacific Ocean, this brightly colored inn is in Lincoln City, walking distance to shops, the beach, restaurants and casino. 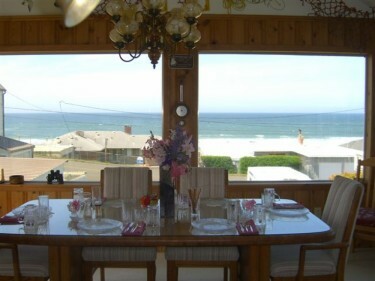 Wonderful breakfast served in the ocean view breakfast room. Quilts, snuggy warm blankets, fluffy bath towels. Lincoln City and Oregon’s Central Coast invite you to a take a stroll on the beach. As winter gets into full swing the central Oregon coast town of Lincoln City remains anything but cool and still. Evergreen forests, broad sandy beaches, clean air, the magnificent Pacific Ocean and a lake at the back door, Lincoln City has it all. Folks from around the country and the world return year after year to soak up the Lincoln City experience. The innkeepers of the Oregon Bed and Breakfast Guild are ready to share with you their version of Oregon Culinary Tourism and Geotourism. Get to know our State like a local; stay with one of our nearly 100 hosts in any one of our many regions. Experience romantic getaways, historic treasures, and tucked away rustic retreats. Whether your trip is for a quiet escape to a quaint rural or coastal town, taking in Oregon Geotourism, for a World Class City experience, or for a new spin on business travel, you can be assured of combining gracious hospitality with ambiance by staying at an inspected and approved Oregon Bed and Breakfast Guild member Inn.